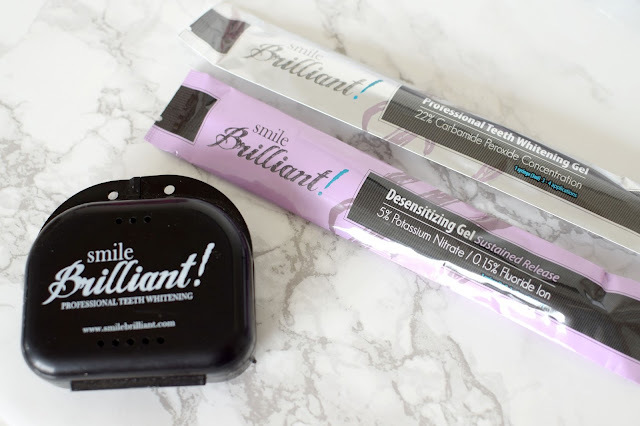 I've tried a couple of different teeth whitening treatments in the past but none of them have been as bespoke as the Smile Brilliant kit. When the team got in touch and asked if I would like to try the kit out, I jumped at the chance. So lets cut to the chase, the company are based in America and the kit you get sent comes with lots of different parts. 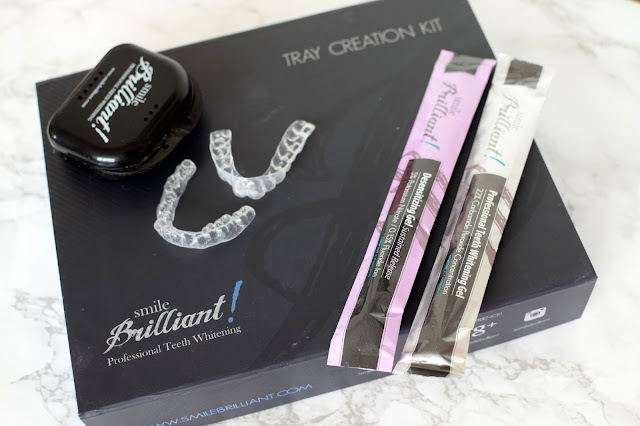 Firstly before you start the teeth whitening process you have to create your own impressions (this is where it becomes more than your average teeth whitener), as the kit works with gels in custom made trays. Like I said the first step is to create your impressions, you get three sets of base and catalyst paste, just in case you make a mistake. The process is quite particular (there is a set of super easy to follow instructions). Once you have brushed thoroughly you mix the two pastes together and spread them into the impression tray. You then have to insert the tray into your mouth, you do this twice, one for the top and one for the bottom. Like anyone who has had this done at the dentist, it isn't pleasant, for two minutes I was dribbling over the sink looking like Sloth from The Goonies. You leave the impressions to set for 30 minutes then rinse with water. In with the kit you get an envelope to send the impressions away to. 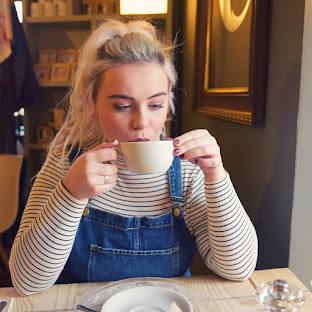 If you live in America it's free, from the UK it can cost £5-£9, something to bear in mind. So after a week or so the trays arrived back. 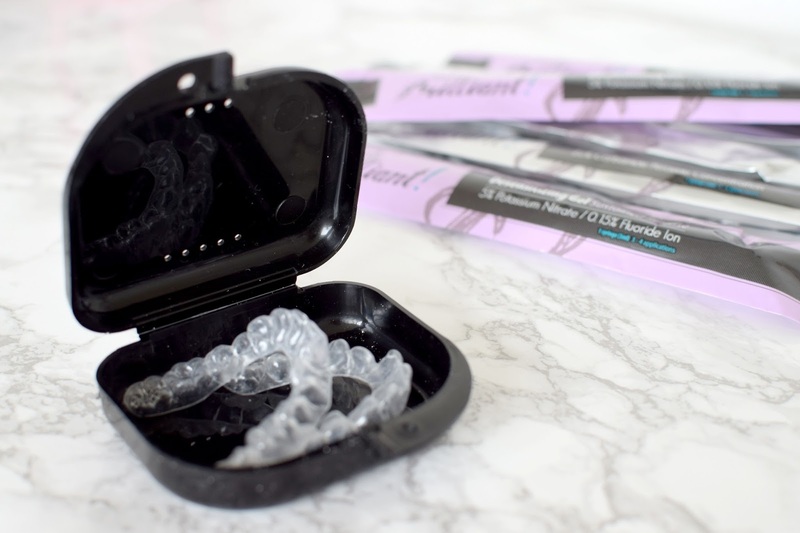 The gels you get in the pack are the actual teeth whitener and then a desensitizing gel to use after, 3 of each. You just have to apply a thin layer, a little goes a long way and leave for between 15 minutes to 3 hours (the desensitising gel 15 minutes). Spit out the gel and rinse. Overall I found that there was a significant change to the whiteness of my teeth. The kit is pretty pricey and I'm not sure I would shell the money out myself, although you can't deny the results are great. I did find the whole process pretty a bit of a faff, this is definitely not the lazy girls version of teeth whitening. But if you're ok with taking the time to make the impressions, sending them away and waiting for them to come back then this is for you. At the end of the day, no other company will create custom trays for you, so you get what you pay for!